Nexmo operates a cloud communications platform that develops APIs for SMS, voice, and phone verifications. In June 2016, Vonage acquired Nexmo, positioning the combined company as a best-in-class leader across the two dominant modes of communication today – voice and messaging. We were excited for the opportunity to meet with Nexmo CEO and co-founder Tony Jamous ahead of his fireside chat at KazooCon to learn more about the Vonage/Nexmo aqcuisition, and Tony's vision for the future of CPaaS. 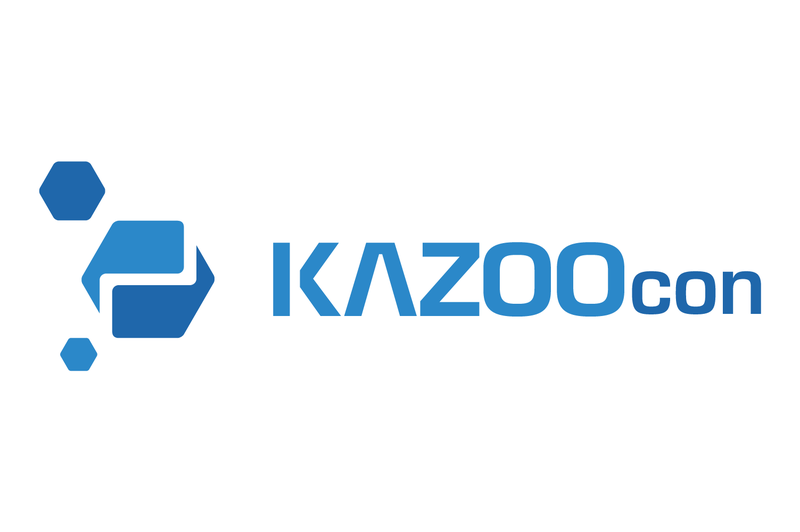 Don't miss our fireside chat with Tony and 2600Hz COO Patrick Sullivan at KazooCon 2016 October 17th-18th in San Francisco, California. How does real time communications fit in with digital transformation? In today’s digital economy, software will drive enterprise transformation. In fact, IDC predicts that by the end of 2017, two-thirds of the CEOs of global 2000 enterprises will have digital transformation at the center of their corporate strategy. “Traditional” enterprises are aggressively embracing an API-centric approach to power their digital transformation and grow their digital businesses. As organizations integrate cloud solutions and modernize legacy systems, APIs are becoming critical for accelerating this digital transformation. APIs are the modern building blocks of building agile software. Furthermore, we’re seeing a new generation of “no stack startups” and digital-first companies such as Uber and Airbnb that are built almost entirely on third-party APIs. They outsource a lot of their tech stacks to maturing back-end services, such as communications. These digital native have influenced whole industries, forcing more traditional companies to embrace change and become more agile. As a result of changing user behavior and the availability of communication platforms, traditional enterprises are now faced with the challenge of modernizing customer engagements and expanding from just phone and email to encompass text, push, chat apps, and more. These traditional enterprises are looking to become more agile by augmenting the capabilities of existing legacy communication systems with more modern, programmable communications solutions. What is the role of Communications Platform as a Service (CPaaS) in the real time communication market? The fast-growing Communications Platform as a Service (CPaaS) market is composed of real-time communications platform providers, facilitating real-time communications, including text messaging, voice and video formats. CPaaS solutions offer developers a range of back-end tools, including a multitude of programming capabilities, as well as global network gateways and access to local country markets. These networks are scalable, reliable, and most importantly, easy to use for a wide range of developers. CPaaS allows digital-native companies (i.e. startups) to focus on their core business, create new markets, and challenge established competitors. CPaaS also enables established enterprises to become more agile and innovate with software. In addition to APIs, CPaaS can offer enterprise capabilities, instant scalability, and abstracts the challenges of the global telecommunications world. Nexmo was created with the mission to reinvent communications. In 2010, Nexmo created the world's largest direct-to-carrier network and developed algorithms to provide the highest quality and most sustainable connections for our customers. Since then, we have built a robust CPaaS platform with a suite of innovative APIs that enable programmable voice, phone authentication, phone number insight, and chat app connectivity. Our innovations are customer-driven, and we focus on enabling enterprises to become more agile, by leveraging the latest technology to simplify and scale their communications. Tell us more about the recent Vonage/Nexmo acquisition? Vonage’s acquisition of Nexmo accelerates Vonage’s growth strategy, deepens the Company’s technology capability and elevates its leadership position in cloud communications. Vonage’s acquisition of Nexmo created a cloud communications company that can not only help an enterprise’s employees be more productive using robust UCaaS (Unified Communications as a Service) solutions, but can also enable enterprises to improve how they engage with their customers through embedded, contextual communications, on any platform and on any device. Vonage’s strength in voice, coupled with Nexmo’s robust communications platform, positions the combined company as a best-in-class leader across the two dominant modes of communication today – voice and messaging. By joining Vonage, Nexmo benefits from the power of Vonage’s carrier-grade voice network, the strength of the Vonage brand, broad sales distribution in the U.S., and significant operational and financial scale and resources. In addition, the joint Vonage and Nexmo carrier network and programmable platform delivers higher functionalities with lower complexities for the developers. We have recently integrated the Vonage network with the Nexmo Voice API. This allows Nexmo customers to benefit from Vonage call processing capabilities, lower costs, and relationships with hundreds of carriers around the world. Now, we can also offer programmable voice on top of the Vonage network though the new Nexmo Voice API. Historically, unified communications as a service (UCaaS), and communications platform as a service (CPaaS) existed as separate services. Today, the distinction between them is getting blurry. How do you see the UCaaS and CPaaS communications solutions merging in the future? Previously, they were different islands of technology. As the industry continues to evolve, we believe you are going to see a fusion between this traditional CPaaS model – the Nexmo model – and the UCaaS model. The fact that one has been targeted on customer communications and the other has been targeted on how employees communicate, is going to change. We see the opportunity to marry employee communications, like traditional UCaaS approach, with customer communications – which is the CpaaS approach. Now that IP and cloud based communications have become normalized, adding the API and delivery of the communications functionality makes it easier to create scalable, integrated communications. What are you most excited about at KazooCon 2016? We’re excited to push the boundaries of what’s possible in communications technology, and learn from what others are doing in the space. Older Post 25 Days to KazooCon 2016!